When a fashion brand debuts a line at a fashion show, it’s not just a chance to show off new clothes; it’s also an opportunity make a splash. 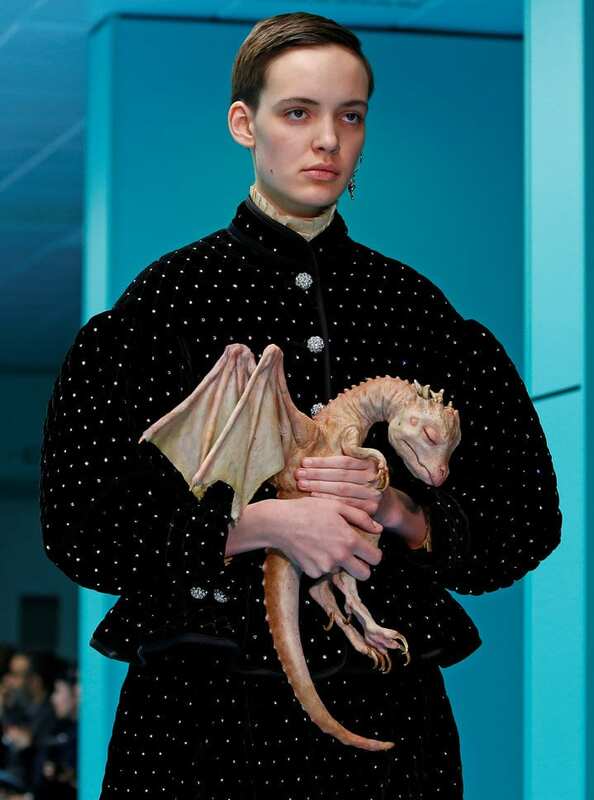 And that’s just what Gucci did on Wednesday at Milan Fashion Week, with a showing that might have been more at home on Game of Thrones: models hitting the runway carrying replicas of their own decapitated heads. 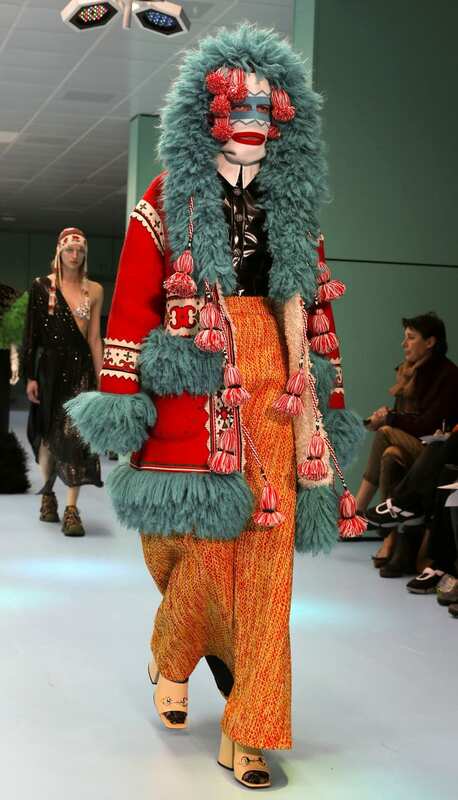 The collection, from creative director Alessandro Michele, is called “Cyborg,” and it showcases the brand’s Fall/Winter 2018 clothing line. The heads were created by Rome-based special effects company Makinarium. which created them with a 3D printer. Good to know that head replication technology is so advanced these days! 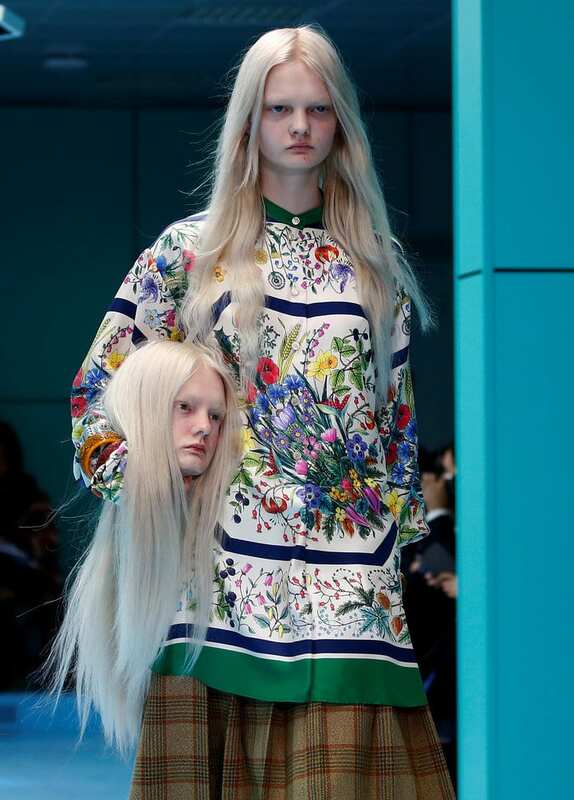 Models carrying their own heads is a way to encourage women to practice self-acceptance, by “Looking after their heads and thoughts,” Michele told Reuters. 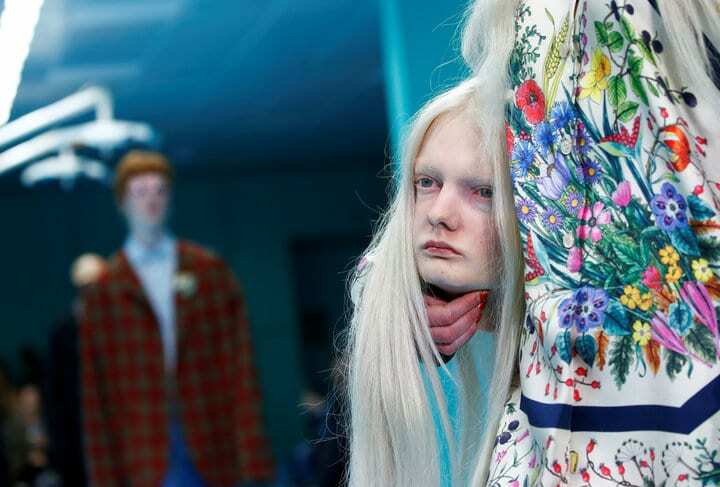 While the exhibition did impress some, plenty of people were understandably weirded out by the whole thing. 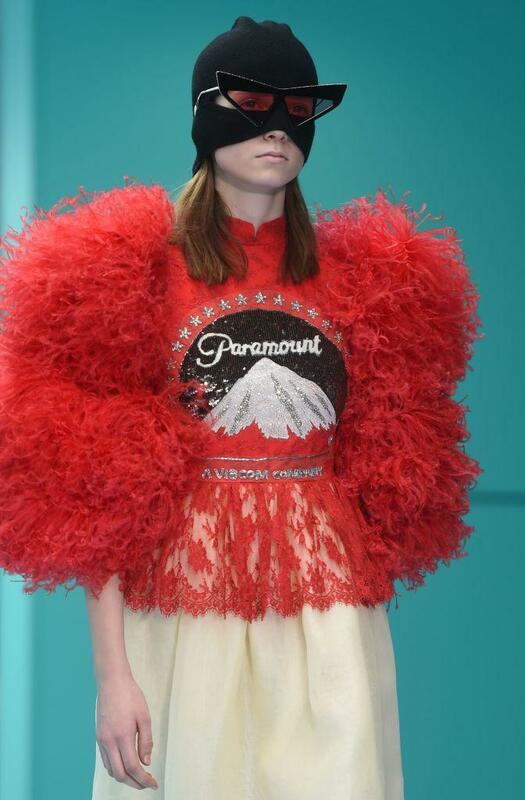 I mean I realise that some top models are head hunted for shows…but this is ridiculous! 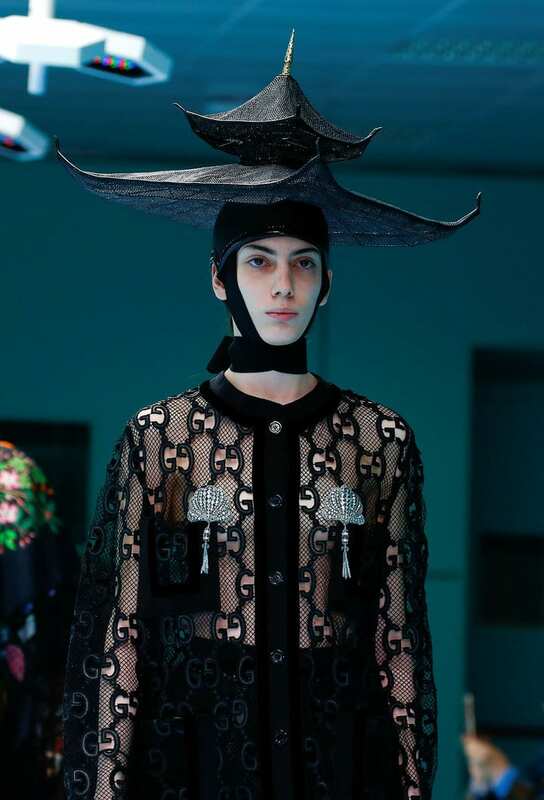 Fashion show or horror show….way too creepy! And while the severed heads got the most attention, the Cyborg exhibition featured plenty of other unusual sights. 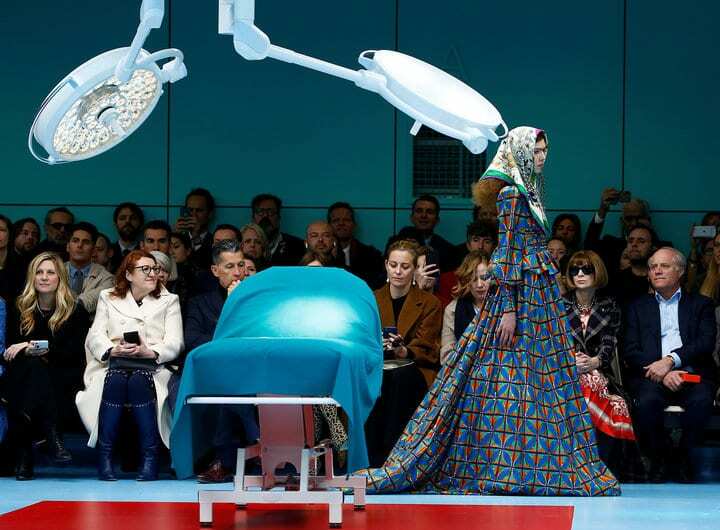 The exhibit took place in a mock surgical operating theater. 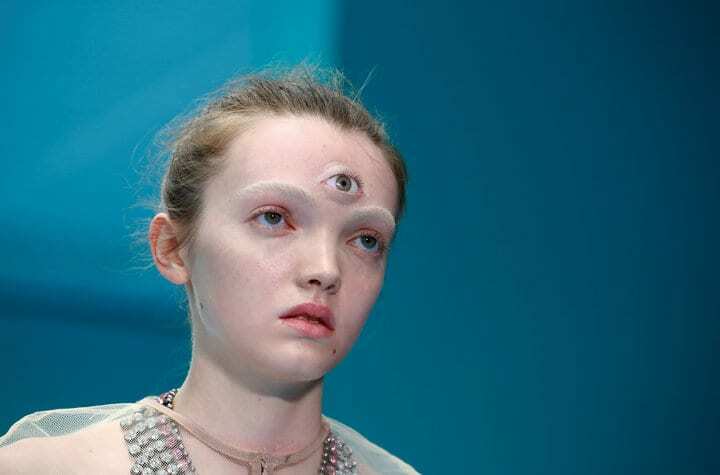 One model showed up with a third eye that was so realistic you might think it’s real. 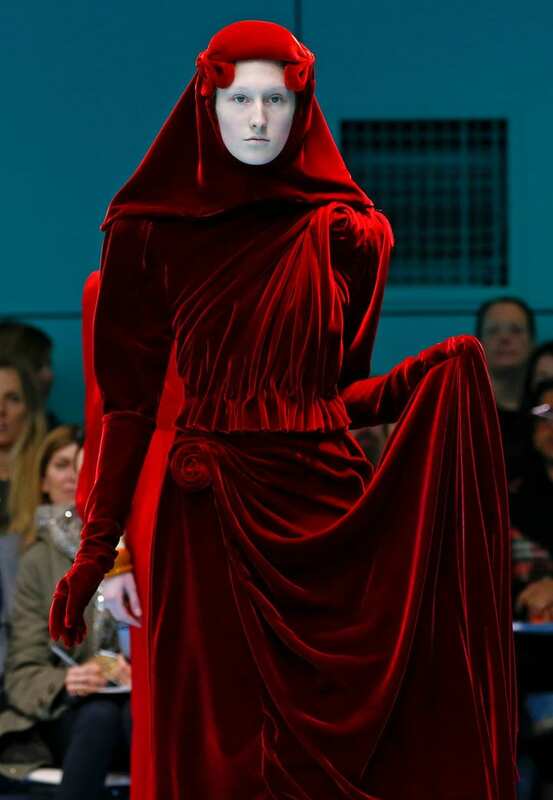 Another model wore a full-body red cloak that looks like it came from The Handmaiden’s Tale. 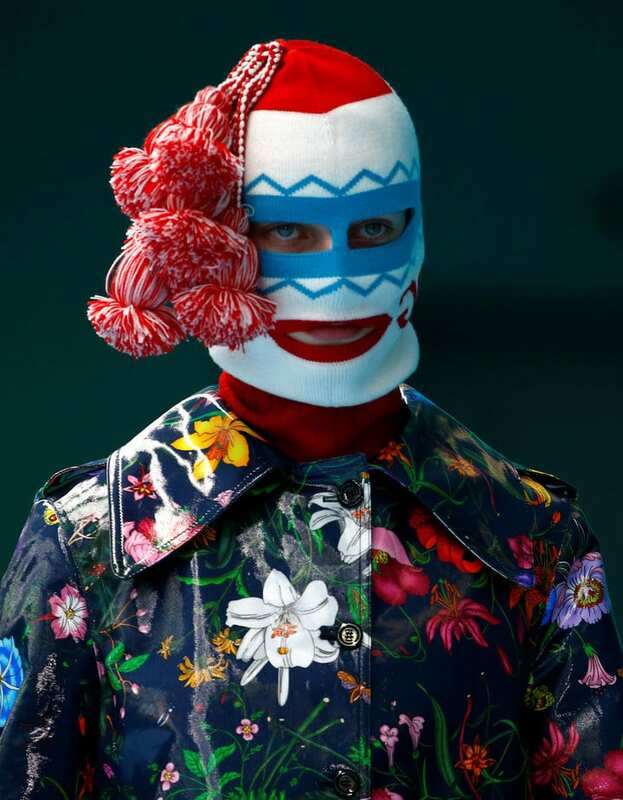 Since this was partly a winter collection, there was some unusual cold weather gear. And one very tired dragon. All of this creativity is nice, and it appears to be paying off. The company expects double-digit growth this year. 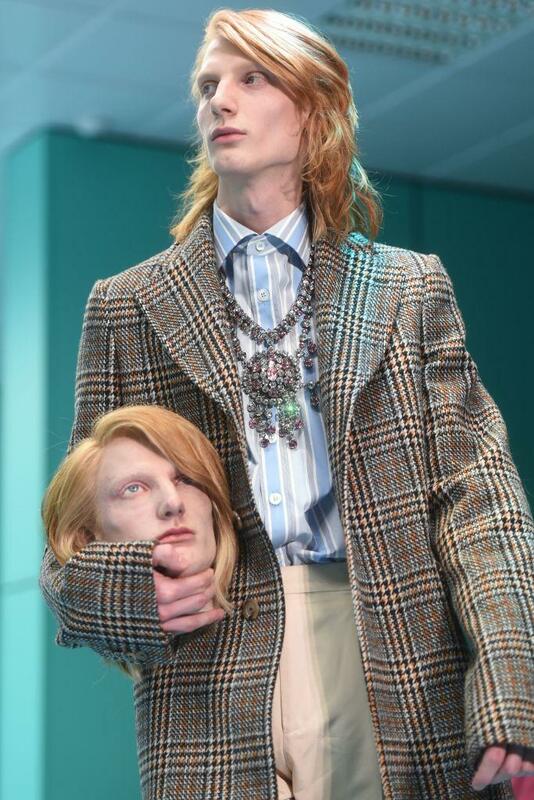 If that happens, our new favorite fashion accessory could very well be the freshly chopped heads of our enemies.